Big... 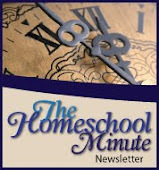 HUGE changes are coming to Faithful Homeschool. So HUGE I am almost reluctant to blog here... and yes, that is a hint! And, yes, I'm trying to build hype! Hype, because I have been laying low for a while. 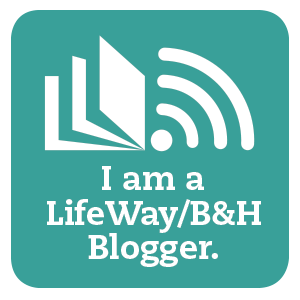 Many may think I have left the blogging sphere... but I didn't. That whole bloomy thing last year... well it pruned me bare... and bare is how I had to stay for a while for the next blooms to sprout and begin to open. My husband even reflected to that end, when I shared with breathless excitement over the amazing things God has always done... about the HUGE things He is doing right now and all I had to walk through to get here first. Hubby replied... maybe it is that blooming thing! Yup, he does listen after all! And so, in truth, it feels good to be blogging regularly again... to be finding that groove... even if big...HUGE changes are coming! It is all, simply, Obedience. Monday's sort-of quick.and.to.the.point entry explored the essence of this time for me... as I imagine many women out there experience. Struggling to fit it all in. Struggling to get it right. Struggling to find time for that illusive to-do list...others... self... God. Struggling to simply hear God and do what He calls. Yes, that has been me. As He bloomed me and grew me he first, and gradually throughout, pruned me. I felt bare and uncertain what was next. I laid everything on the alter and sought His guidance in what to do... what He might give back. And when His time was right... He began to give things back. What hard but wonderful times. And so, the big changes ahead fill me with joy as I see all of His work that went into making me for this moment. I hope, through the changes ahead, to create an environment where I can draw YOU in closer, share with YOU better and get to know YOU through what I hope will become a truly relational blog... a reflection of a truly relational God. Blessings to you, friends, and keep your eyes pealed here and on facebook as our HUGE changes will be announced soon!